WhiskyInvestDirect will be exhibiting at the MoneyShow Orlando 2019. 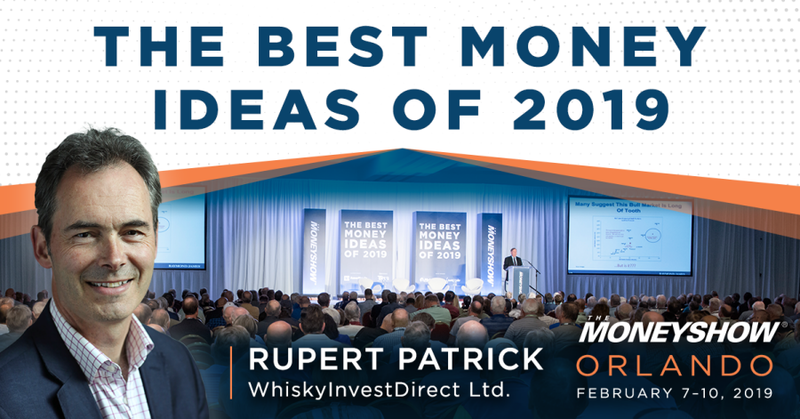 If you are based in North America and have any questions about investing in Scotch whisky this free to enter event provides a great opportunity for you to meet Rupert Patrick, our Founder and CEO in person and discuss this exciting new investment asset. Rupert will be also giving a presentation How to Invest in Scotch Whisky at 4:30 pm on Friday 8 February which will be available on a first come basis. If you can make it to Orlando we look forward to meeting you. If you can't make it you can see a part of Rupert's presentation and learn how maturing Scotch beat the S&P500 since 2009.